Join in this Wednesday 23 January 2019 live from 2000 - 2300pmCET for Eurovision Radio International this week. Interview with Ari Olafsson (Iceland 2018): Iceland was represented at the Eurovision Song Contest 2018 by then 19 year old Arie Olafsson who won the Icelandic National Final and with this the ticket to Lisbon and the Eurovision Song Contest. Unfortunately, not a good result for Iceland only coming 19th in Semi Final 1. 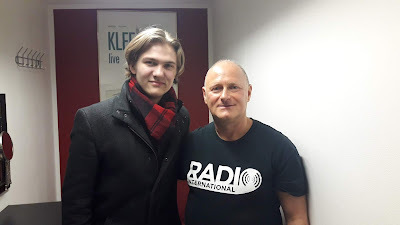 Arie was guest artist in the 2018 edition of the Eurovision Club Germany convention 2018 last November in Cologne, Germany where JP caught up with the singer. Very talented and a great singer Arie now studies music arts in London. You can hear that interview and more details of his career development on the show this week. OGAE Germany's Annual Convention 2019: The annual convention of OGAE Germany is us usual scheduled at the end of January, in fact, on Saturday 26 January 2019 in Wirtshaus zum Isartal in Munich, Germany with the participation of a great line-up of Eurovision artists and personalities. In recent year organisers always surprised the audience with specials guests - so who will it be this year???:). But also a bunch of national and international artists are invited as they are: Betty Missiego (Spain 1979), Ireen Sheer (Germany 1978, Luxembourg 1974 and 1985), Imri Ziv (Israel 2017), Ryan O'Shaugnessy (Ireland 2018) and Esther Hart (Netherlands 2003). Details of the event can bye found on the OGAE Germany's website - click here. 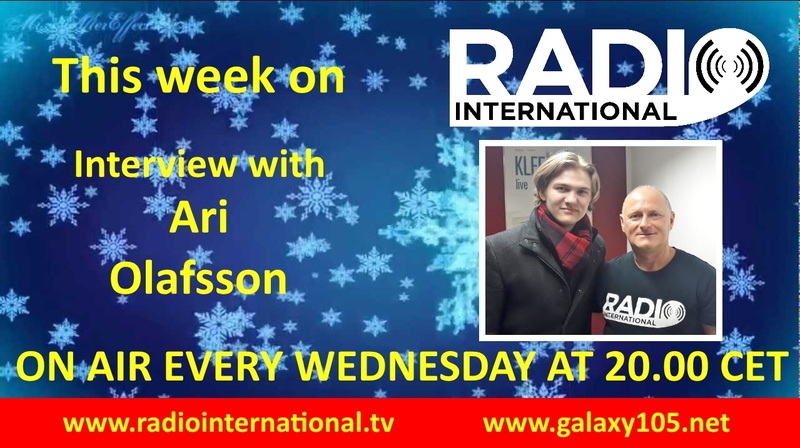 OGAE Germany's PR Officer and Co-Host of the event Frank Albers will be joining JP live during the show this week to chat about this particular event. EUROVISION 2019 - Dare to Dream: In a brand new year in Eurovision Terms called 2000 and Tel Aviv where the 64th Eurovision Song Contest will be staged May 14, 16 and 18. The National Final Season has begun just before Christmas 2018 with Albania selecting their country's choice. Radio International keeps you up to date every week with the detailed happenings during the National Final Season. That is also reflected in the new series of the Eurovision Spotlight which is devoted entirely to the national finals 2019. Plus there will be Eurovision News, Birthday File, Cover Spot, Eurovision Spotlight and new releases by Eurovision artists. 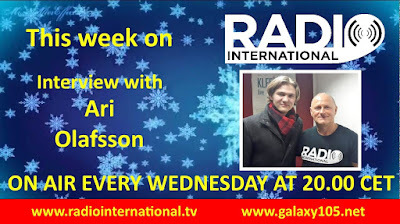 Join in this Wednesday 23 January 2019 live from 2000 - 2300pmCET for Eurovision Radio International this week.